Quanstar Biotech markets the best clinically researched products to doctors and pharmacists in South East Asia. Its products are sold to Hospitals, Clinics and Pharmacies. It is managed by a team of pharmacists and healthcare industry experts with more than 50 years of combined industry experiences. Our mission is to work together with healthcare professionals to provide clinically proven phytomedicines and nutraceuticals to treat or prevent illnesses of mild to moderate severity. Esberitox®N is the first product from our partnership with Schaper & Brummer, Germany, a reputable company with more than 50 years of experience in Phytomedicines. 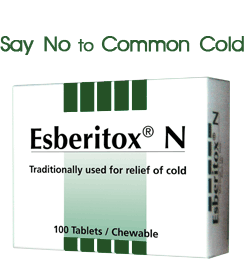 We will market Esberitox®N throughout South East Asia. Future plans include other partnership with globally renowned company in Phytomedicines or Nutraceuticals, to bring their products to South East Asia.